LET us help develop your algae-biofuel program with the most experienced team in algae-biofuels. Microalgae are highly a productive biofeedstock that can cultivated on waste nutrients and low quality waters on lands unsuitable for traditional agriculture. This provides vast opportunities for energy conversion. MicroBio Engineers are highly experienced in microalgae energy conversion technologies. Algae based biofuels can replace a significant portion of the global demand for liquid and gaseous fuels. While still an area of research our team can help your project develop and move towards commercialization. MBE can help you design an algae production facility to meet your needs for. Anaerobic digestion has the advantage of being one of the oldest, simplest, and proven biofuel technologies. Anaerobic digestion is a bacterial process that converts organic wastes in an air-free environment to fuel called biogas (methane and carbon dioxide primarily). Biogas can be purified to pure methane and compressed to produce renewable liquid natural gas (RLNG), or it can be burned directly to produce heat and power. There are millions of anaerobic digesters world-wide, with most consisting as single-household or small community digesters producing gas for cooking. In the US, many wastewater treatment plants utilize anaerobic digestion to reduce sludge volume and produce renewable heat and power. Renewable energy incentives such as the Low Carbon Fuel Standard (LCFS), and the Renewable Fuel Standard (RFS) have spurred development of many new anaerobic digestion projects. 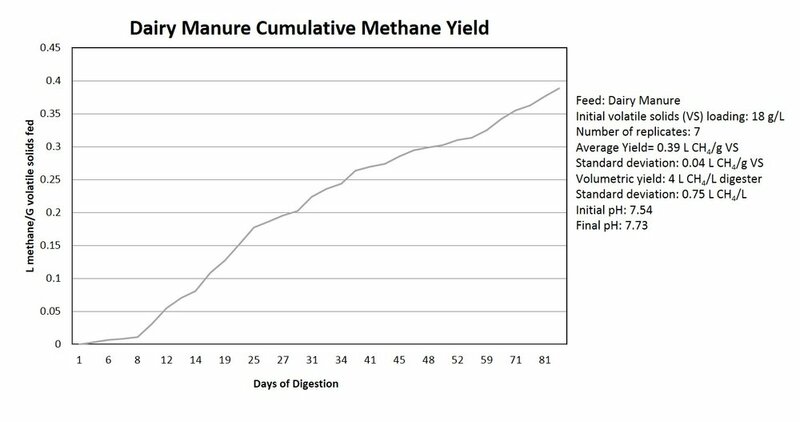 MicroBio Engineering Inc. provides biochemical methane potential (BMP) testing of anaerobic digestion substrates. Research on emerging topics including co-digestion, two-phase digestion, and hydrogen production, with economic and life cycle analyses. Contact MicroBio Engineering Inc. so we can help you with the design, management, and optimization of your anaerobic digester.